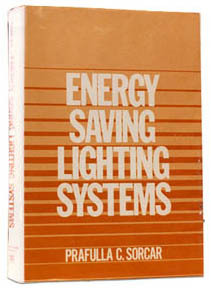 ”Energy Saving Lighting Systems", Sorcar’s second book of lighting design became a text for under graduate and post graduate classes in Illuminating Engineering at the Jadavpur University , Kolkata. 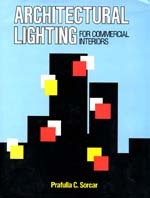 His other two books, “Rapid Lighting Design and Cost Estimating” was selected for post graduate syllabus and projects, and “Architectural Lighting for Commercial Interiors” was selected a reference book for student work and general consultancy, at the same university. 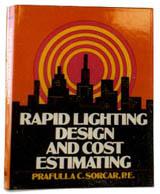 Written under his formal name Prafulla C. Sorcar, his books are already in use as a text at several universities in USA, and are listed in The Lighting Source Catalog of the Illuminating Engineering Society of North America. Sorcar was invited by Prof. Tapas Basak, Head of the Dept. of Electrical Engineering at the Jadavpur University, to visit their newly formed Lighting Laboratory and spend some time in delivering a lecture on modern trends in lighting and taking question answer session with the students learning Illuminating Engineering in Electrical Engineering Department of the University, both in under graduate elective and post graduate classes. The event took place on December 22, 2004 at 2 PM when Manick Sorcar visited the university where he was warmly welcomed by Dr. Saswati Mazumdar, Reader, Illuminating Engineering section, Prof. Tapas K. Basak, Er. P. K. Dutta, Engineer-in-Chief of the Public Health Engineering Department of Govt. of West Bengal and the students. Sorcar visited the Illuminating Laboratory which he found to be very well done. The lecture and question answer session took place inside the laboratory itself. He explained lighting design must not be limited to meeting a reading on the lux-meter; a thorough understanding of the interaction of color and light, their psychological and aesthetical impacts are the most important part in the design. A proper understanding of its application can do miraculous things, he explained, “it ranges from merely making things visible in a room to helping a recuperating patient in the hospital to vanishing a motor car on the stage!” He equated the application with some of his lighting designs in various international airports and hospitals in the US to some magic items of his illustrious father late P.C. Sorcar, Sr. The students had several questions on the cutting-edge-technology of laser lighting, which Sorcar uses as a part of his practicing electrical consulting engineering business, as well as for visual effects in his stage shows.